My very first visit to New Orleans whet my appetite (literally) just enough to have me longing for more of this vibrant, unbridled city that weaves music and culture into its many complex parts. 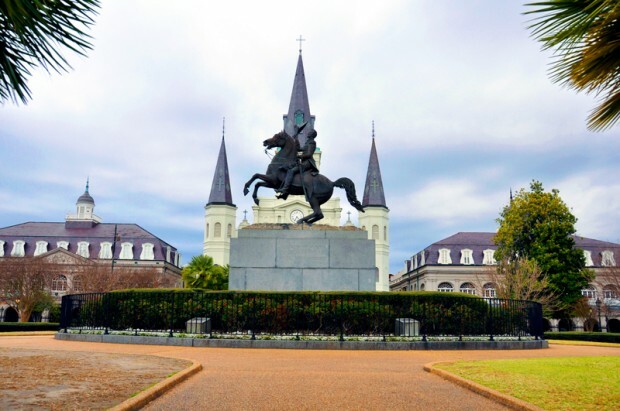 Admittedly, my perspective on this distinct city was narrow, and like many who don’t call New Orleans home, relegated this major port to jazz, Mardi Gras, and French-Creole cuisine. And while New Orleans is THE place to go for all of these diversions, the city boasts so much more than Bourbon Street and is continuing to gain prominence as a major destination for film production. From weekend getaways with friends to family vacations, here are 10 things to do in New Orleans with Kids. 1. 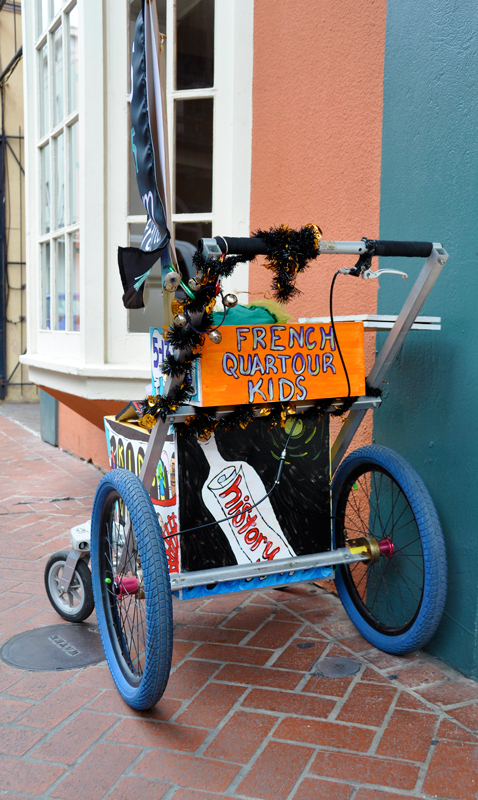 French QuarTour Kids Walking Tour: Perhaps one of the most unique and often-overlooked activities is a simple walk through the historic French Quarter. 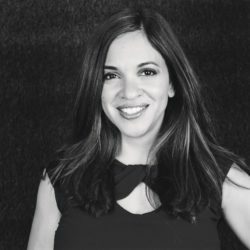 While there are no shortage of sites to see, owner/founder Jill Dresser translate these sites into meaningful moments of discovery with her walking tours specifically designed for kids. 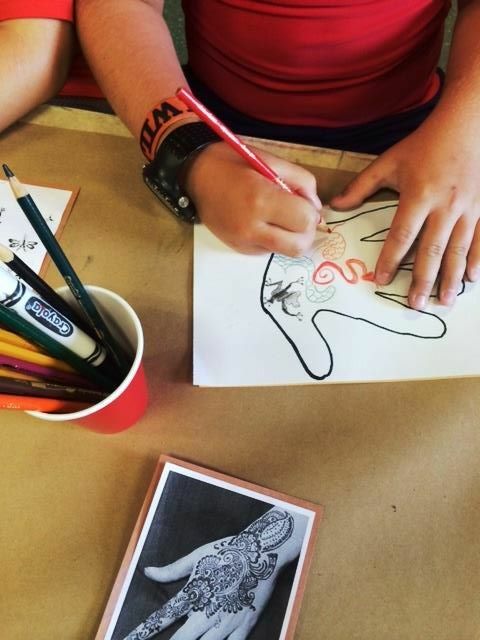 In addition to learning about the history, geography and culture of the French Quarter, kids are entertained with maps and props as Dresser weaves education, hands-on activities and humor into her tours. Tours are offered for children ages 4-7 and 7-13. Each tour lasts approximately 2 hours and the price for adults and children is $20/person. Dresser begins her tours on the riverfront at the end of St. Peter Street and the distance you will walk is approximately 6 blocks. I recommend bringing water, snacks, an umbrella, and a stroller. 2. New Orleans City Park: 50% larger than New York City’s Central Park, plan to spend an entire day exploring one of the oldest urban parks in the country. At 1300 acres, there really is something to do for everyone. Kids in particular will love Storyland, a storybook-themed playground with larger-than-life characters and sculptures. 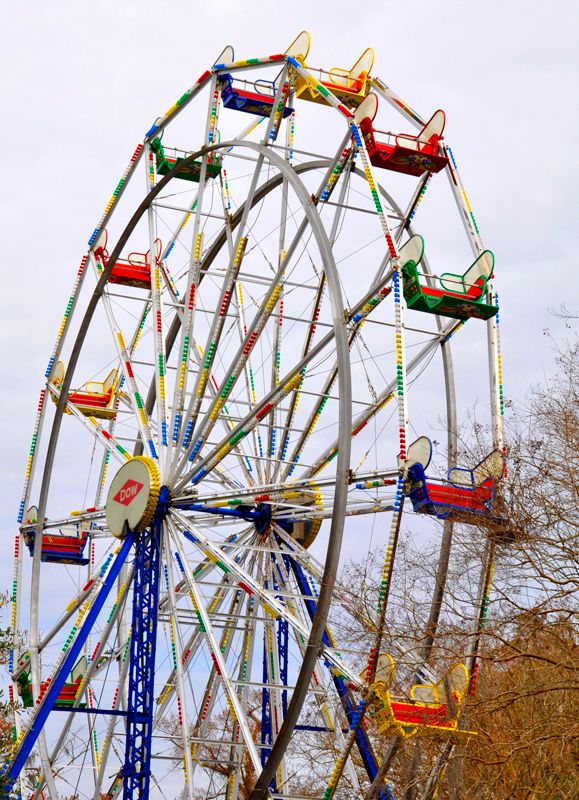 Adjacent to Storyland, kids can get their thrills at Carousel Gardens Amusement Park, which features 16 rides including a beautiful, antique wooden carousel. In addition to the above activities, families can take a walk through the Botanical Gardens, travel back in time for a look at streetcars and trains of the 1800 and 1900’s, or have beignets at Morning Call. For the more active family, the park offers fishing, boating, biking, golf and much more. 3. Audubon Zoo: As animal lovers, my kids would be content to spend an entire day at our local zoo, so we always scout out our destination’s wildlife habitat to see what rare native animal encounters we can embark upon. 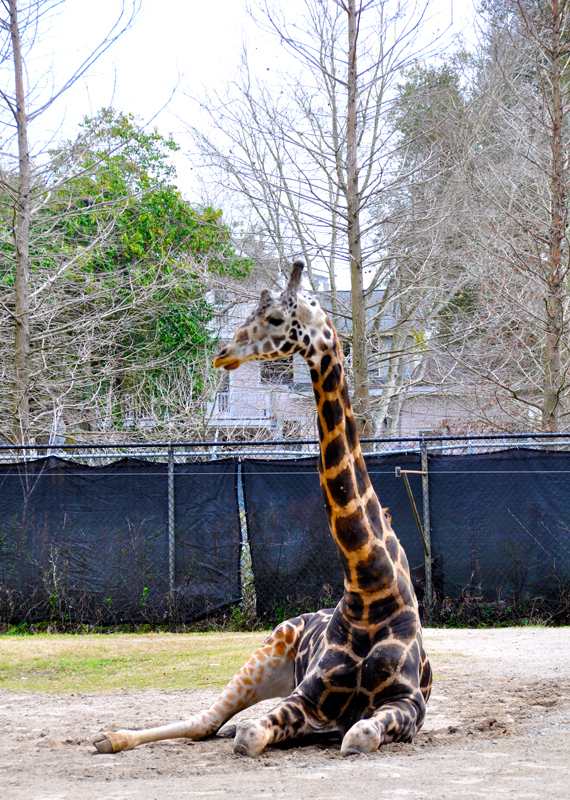 Just a short drive from the French Quarter, New Orleans’ only zoo features a fascinating mix of animals from across the globe. Distinct to the Audubon Zoo, families can see visit the Louisiana Swamp and Jaguar Jungle to see wildlife in their natural habitats and view the very rare and mysterious white alligators. During the summer, be sure to visit Cool Zoo, a wet and wild splash park located inside the zoo. The separate but nominal admission fee includes jumping water spouts, an alligator water slide, a spider monkey soaker, water-spitting snakes and the brand new Gator Run Lazy River. Tips: Book tickets online to skip the lines and plan your visit during off-peak hours (weekday afternoons). 4. Steamboat NATCHEZ Harbor Cruise: I’m not old enough to remember a time when steamboats were the mode of transportation, but in a place like New Orleans which boasts one of the world’s most active ports, you can see how valuable it would be to traverse people and cargo from place to place. Today, the Steamboat NATCHEZ is the last authentic steamboat operating on the Mississippi River. Not only is this a unique way to see the parts of the city and New Orleans port, it’s a great way to spend a bit of downtime and seek reprieve from the warm Louisiana sun. 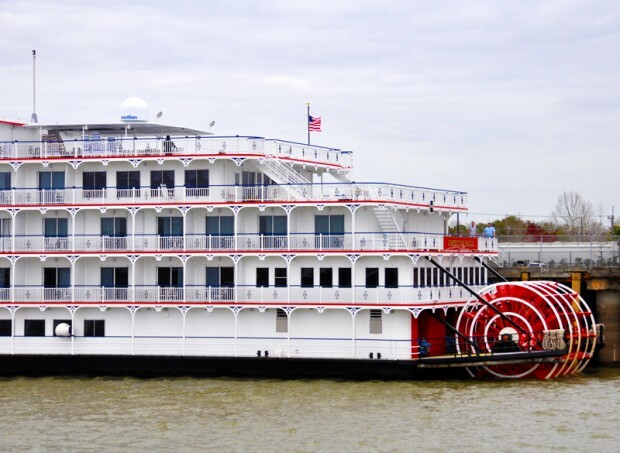 In addition to the 2 hour Harbor Cruise, which features live narration of historical facts and highlights of the port, the Steamboat NATCHEZ offers Sunday Jazz Brunch Cruises, Dinner and Jazz Cruises, and Holiday-specific cruises. There is an optional buffet brunch offered during the Day Cruise and children under 6 are free with a paid adult. If you are planning to tour the city, you might consider one of their cruise/tour combos. 5. Preservation Hall: When I think of New Orleans, the 3 things that come to mind include food, Mardis Gras and jazz. 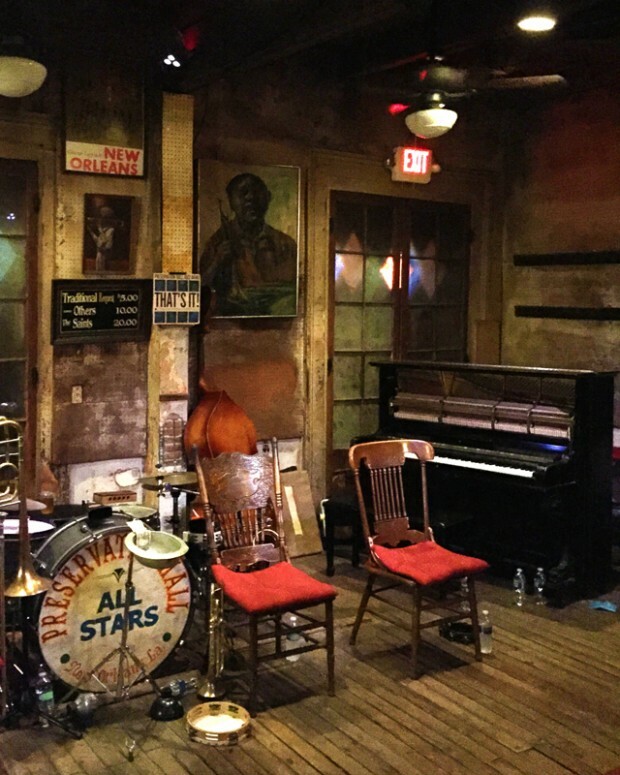 New Orleans is often deemed the birthplace of jazz, and it would be disappointing not to experience the soulful, inspiring music that defines this city. Suitable for all ages, Preservation Hall is where some of the greatest names in Jazz were born. The venue, which is smoke and alcohol-free, is cozy and intimate and features acoustic jazz concerts from local musicians. This is one of the best experiences in the city and one not to be missed. Be sure to book tickets in advance since the thrice-nightly concerts are often sold out. The venue holds 100 people with 40 bench and floor-cushion seats. If you plan to visit with young children, you might consider purchasing a reserved seat. It should also be noted that guests typically begin lining up approximately 1 hour before show time. 6. 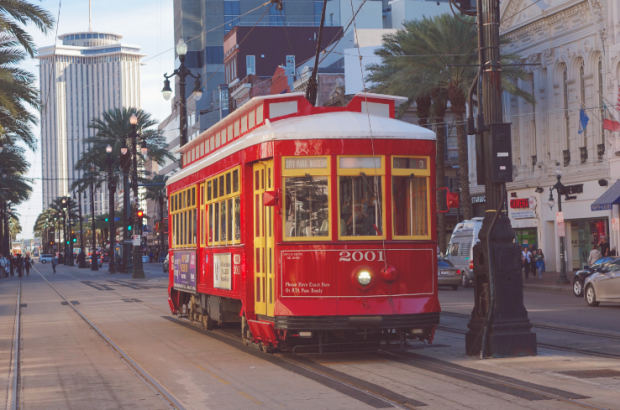 Streetcar: New Orleans, specifically the French Quarter, is highly conducive to walking and the ideal way to get a flavor for the city and its culture. But for families traveling with young children who tire easily, the ideal way to see the city is from one of the 3 main streetcars that operate throughout the French Quarter. Each line takes you to different parts of the city and you can hop on and off with a Jazzy Pass (which I highly recommend), freeing you to see the city at leisure. Each of the 3 lines originate downtown and you can visit The Regional Transit Authority for a list of venues that sell streetcar passes. 7. Louisiana Children’s Museum: When my kids need to expend some energy, our favorite place to visit is our local children’s museum. With 30,000 square feet of interactive activities, the museum is widely popular with locals and visitors. With an emphasis on active learning and play, children are introduced to reading and math skills, architecture, human anatomy/physiology, art, New Orleans history and much more through hands-on, interactive exhibits. The museum also features a variety of hands-on events including story time, art and science projects, kids’ panels, special parties and more. 8. 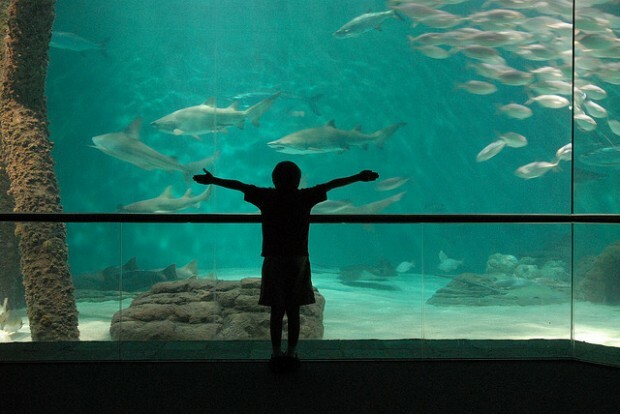 Audubon Aquarium of the Americas: A visit to the local aquarium is always filled with wonder and discovery. But unlike other aquariums across the country, this French Quarter adjacent underwater discovery center introduces families to region-specific aquatic life and climate through it’s 400,000 gallon Gulf of Mexico Exhibit, the interactive Geaux Fish! Exhibit which details Louisiana’s fishing and commercial seafood industry, the freshwater Mississippi River gallery, and a Hurricane Simulator. Tips: Book tickets online to skip the lines and plan your visit during off-peak seasons (September-January) and hours (weekday afternoons). 9. Swamp Tour: Some of the most unique, rare, and exotic plant and wildlife can only be seen in the swamps of Louisiana. And with 3 of the world’s largest wetlands located in Louisiana, a swamp tour is a must during your visit to New Orleans. There are many ways to see alligators, waterfowls, deadly snakes, and exotic flora via kayak, riverboat, and flatboat, however I recommend the more adventurous airboat. These high-speed boats glide across even shallow bodies of water with ease and are exciting for kids. 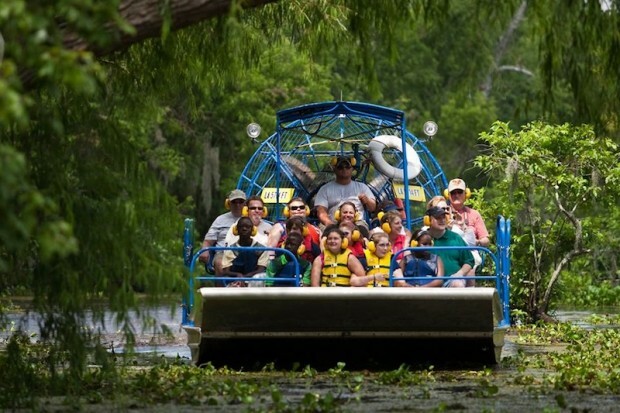 You can view a complete list of venues offering swamp tours by visiting the New Orleans Convention & Visitors Bureau. 10. 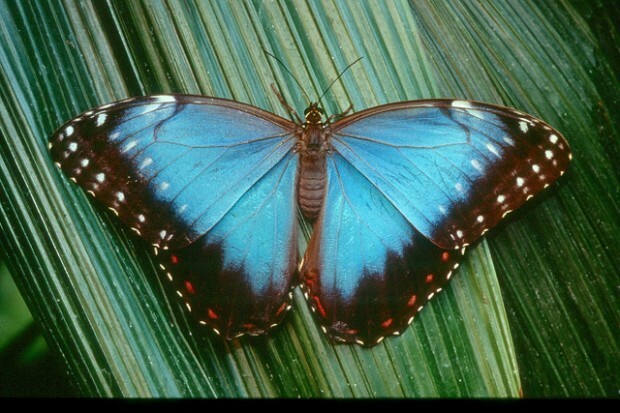 Audubon Butterfly Garden and Insectarium: Located in the heart of the French Quarter, kids will explore why insects are the building blocks of life in the largest museum devoted to insects. Fascinating and immersive, kids will observe butterflies in free flight, experience a day at the swamp, sit in on a bug-inspired cooking demo, feel what it’s like to be a bug. Live insect encounters and multi-sensory experiences make this a must-see for kids visiting New Orleans. This list is by no means inclusive, and there are still plenty of family-friendly activities to keep you busy in New Orleans. For additional things to do with kids in New Orleans, visit the New Orleans Convention & Visitors Bureau. 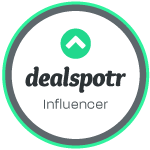 As you may know, New Orleans is the host city for iRetreat, a social media influencer conference focused on growing partnerships between influencers and brands. Unlike many conferences, iRetreat is incredibly family-friendly, so if you plan to bring your kids, you’ll have a wealth of activities to choose from. You can register to attend the conference by visiting iRetreatConference.com. We are so glad you were able to experience a wonderful city and it’s little-known side, thank you SO MUCH for being there and sharing your experience.